Like many other young and qualified people of his generation, Donnan Harvey has experienced a number of years of frustrations with the limitations of the Irish job market. 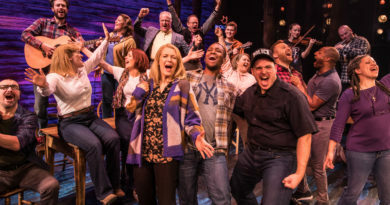 Donnan lives in his hometown of Letterkenny, Co. Donegal – a county that has been suffering from stagnation, emigration and a general lack of optimism since the advent of the recession and all the stark social, political and industrial realities that came with it. Finding it difficult to secure full-time work as a History teacher, Donnan spent time working abroad in London and Nigeria and upon returning to Ireland began a JobBridge internship in the Donegal County Archives. 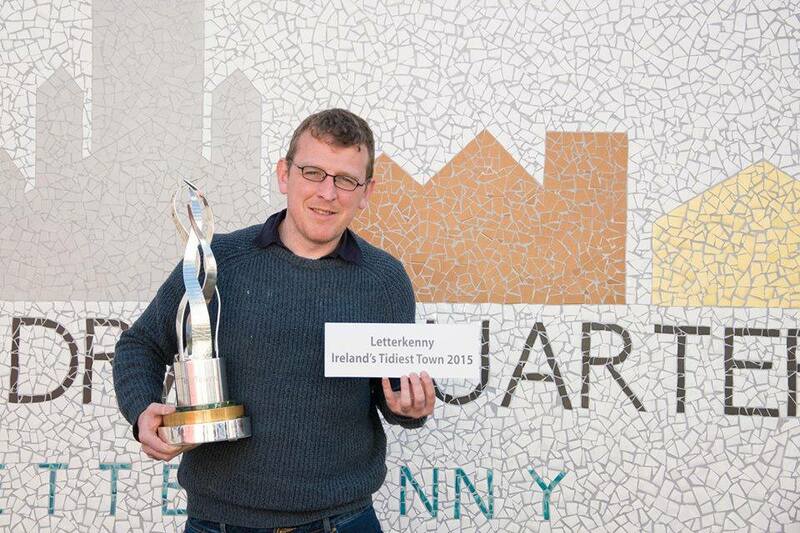 It was whilst working in the archives that Donnan was inspired to begin the grass-roots urban rejuvenation project which has consumed his life ever since – the Letterkenny Cathedral Quarter project, which is centred around the rejuvenation of an old and historic local street, the Church Lane. Unfortunately this community spirit came under threat by the ethos of the so-called ‘Celtic Tiger’. But since the recession there is a realisation that the only way for things to truly progress is through co-operation. And so for the last two and a half years Donnan, with the help of a few other volunteers, has been tirelessly dedicating himself to the cause of the Church Lane. Initially the work involved a lot of physical restoration to building fronts and a seriously neglected green area; but once this was complete Donnan and the team began to organise local events, advertise on social media, solicit local councils for attention and funding and commission the production of an impressive Cathedral Quarter mosaic that now sits proudly at the Main Street entry to the Church Lane. In the last twelve months alone, there have been five new locally-run, independent businesses that have opened their doors on the Church Lane including a café, a florists and a vegan food store. As Donnan is prone to point out; it would be difficult to find another street in the country that has had so many new independent businesses open-up in such a short space of time. 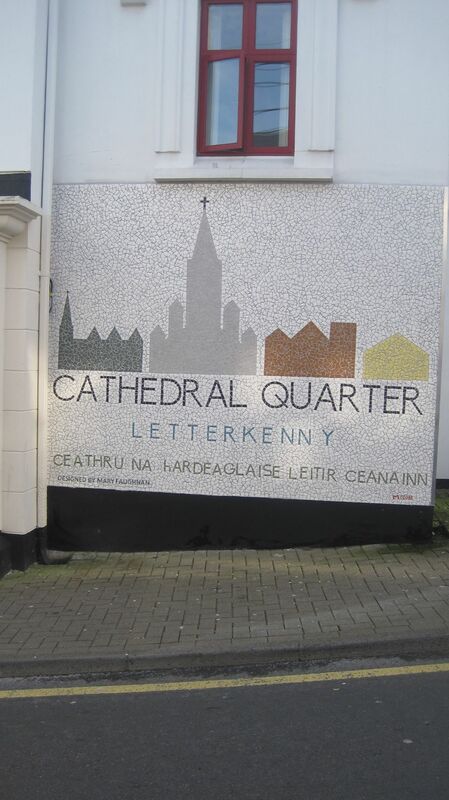 But despite the obvious success and momentum of the campaign the Cathedral Quarter project is meeting some resistance from the statutory and government bodies that are supposed to support these types of initiatives. 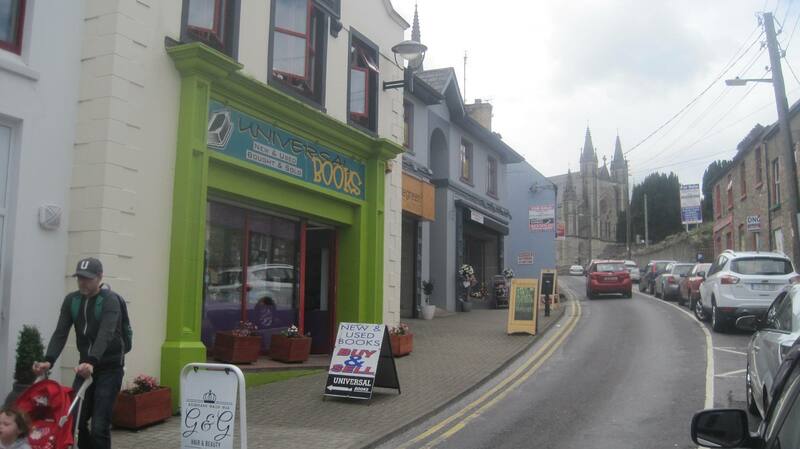 “We have received funding from Donegal County Council under a Strategic Development Plan but there is a problem in that the community group has to spend the money before it can claim it back,” says Donnan. The project has also received half-funding from the Heritage Council of €6000 for an ambitious conservation plan but it will have to fund-raise the remaining cost of €7000 through its own efforts. Other plans for the future include a partnership with the Architectural Technology Department of Letterkenny IT for the possible construction of a public amphitheatre just off the Church Lane. 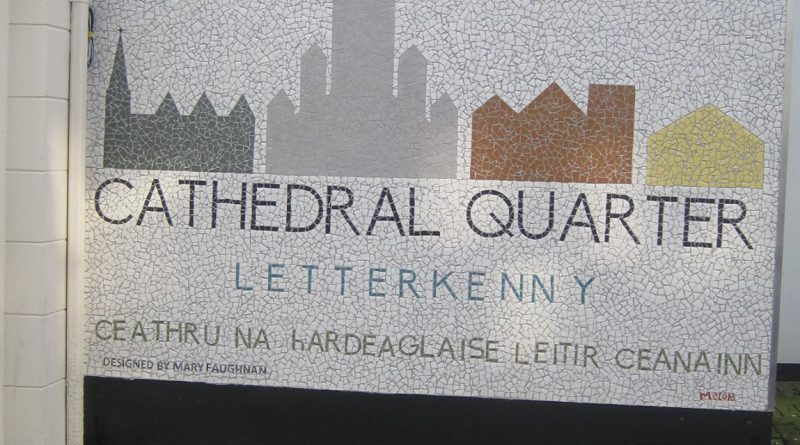 In addition to these exciting developments, the inaugural Cathedral Quarter Literary Festival will take place next October. The festival will hope to explore and celebrate historical connections between the town and famous literary figures such as Jane Austen, whose niece is buried in a church cemetery just above the Church Lane. “This project has been a labour of love and has proven itself to be a great success,” he says. For more information on this exciting project, visit the Save The Church Lane Facebook page.